Home > The Group > Rimorchiatori Salerno s.r.l. The company Rimorchiatori Salerno Srl was established in 1996. 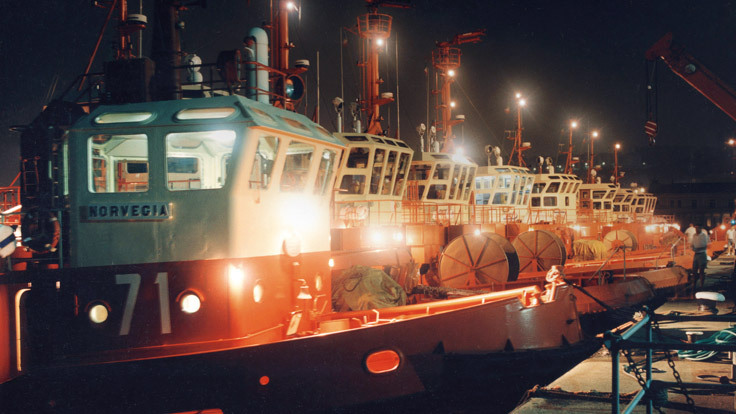 As from 1996 this company has been carrying out the towage service inside the harbour of Salerno, and occasionally, salvage services and antipollution activity. Recently the Company in a view to meeting the increased requirements of the shipowners started a plan of upgrading of its fleet. Rimorchiatori Salerno Srl has always been proud of staying on top of the service it provides, and has always been eager ​to comply with the latest safety developing standards.